Below you fill find all funeral homes and cemeteries in or near Peterborough. Popular neighborhoods in Peterborough include: West Peterborough. Their current mayor is Mayor Tyler Ward. Zip codes in the city: 03458. Some of the notable people born here have been: Sam Huntington (actor), Matt Deis (musician and songwriter), Jaysen Clough (actor), and Jeff Stone (film editor). 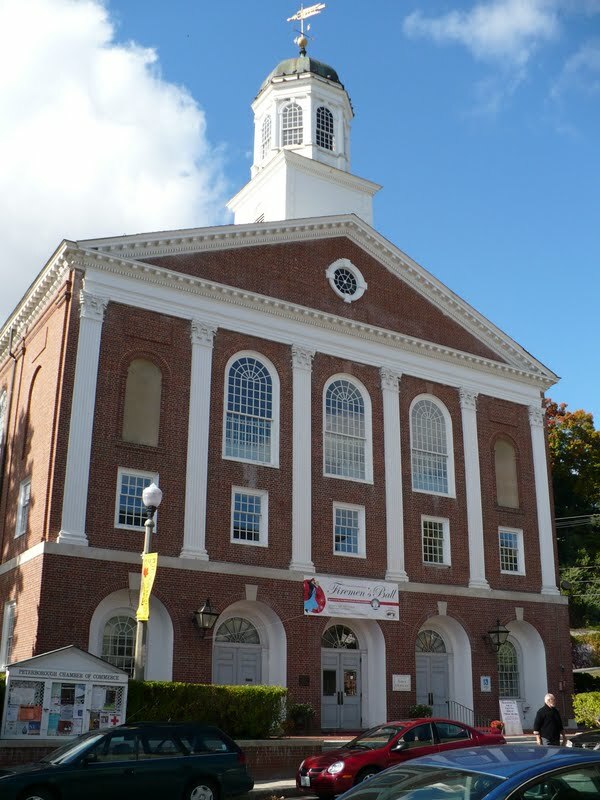 Peterborough is a town in Hillsborough County, New Hampshire, United States. The population was 6,284 at the 2010 census. Home to the MacDowell Art Colony, the town is a popular tourist destination.The central settlement in town, where 3,103 people resided at the 2010 census, is defined as the Peterborough census-designated place (CDP) and is located along the Contoocook River at the junction of U.S. Route 202 and New Hampshire Route 101. It was reported on September 6th, 2018 that Louise Farnam Guion (Harvey) died in Peterborough, New Hampshire. Ms. Guion was 94 years old and was born in New Haven, CT. Send flowers to share your condolences and honor Louise Farnam's life. It was written on May 4th, 2018 that Jane Acheson (Hickman) passed away in Peterborough, New Hampshire. Ms. Acheson was 95 years old and was born in St Louis, MO. Send flowers to express your sorrow and honor Jane's life. It was revealed on March 20th, 2018 that Theodore B Covert perished in Peterborough, New Hampshire. Covert was 87 years old and was born in Winchester, MA. Send flowers to share your condolences and honor Theodore B's life. It was noted on January 11th, 2018 that Janis Duermyer (Griffith) passed on in Peterborough, New Hampshire. Ms. Duermyer was 79 years old. Send flowers to express your sympathy and honor Janis's life. It was revealed on December 8th, 2017 that Barbara Murphy (Walton) passed away in Peterborough, New Hampshire. Ms. Murphy was 83 years old and was born in Clinton, CT. Send flowers to express your sorrow and honor Barbara's life. It was reported on May 4th, 2017 that Mark H Jr Hamilton passed on in Boothbay, Maine. Hamilton was 54 years old and was born in Peterborough, NH. Send flowers to express your sympathy and honor Mark H Jr's life. It was reported by Sarasota Herald-Tribune on September 30th, 2016 that Mark Louis Stratton passed on in Sarasota, Florida. Stratton was 59 years old and was born in Peterborough, NH. Send flowers to express your sympathy and honor Mark Louis's life. It was written on June 1st, 2016 that Reta Mary Brace passed away in Peterborough, New Hampshire. Brace was 97 years old. Send flowers to express your sympathy and honor Reta Mary's life. It was noted on June 1st, 2016 that Reta Mary Brace perished in Peterborough, New Hampshire. Brace was 97 years old. Send flowers to express your sympathy and honor Reta Mary's life. It was noted by Worcester Telegram & Gazette on February 22nd, 2015 that Alan J Charlonne passed on in Worcester, Massachusetts. Charlonne was 50 years old and was born in Peterborough, NH. Send flowers to express your sorrow and honor Alan J's life. 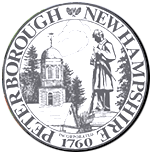 Peterborough is a town in Hillsborough County, New Hampshire County, New Hampshire, United States. The population was 5,883 at the United States Census, 2000 census, with an estimated population of 6,100 in 2006. . . . The official website for the city of Peterborough is http://www.townofpeterborough.com. After returning to the Keene area, Mr. Lane worked for several area businesses including Allen Furniture in Sales, Durbys Furniture of Peterborough ... Fletcher Funeral Home & Cremation Services, 33 Marlboro St., Keene, NH is in charge of the arrangements. The site of Jellison Funeral Home, Peterborough New Hampshire. We are committed to arranging a funeral befitting your loved one and to celbrate a life in a meaningful way. Listing all funeral homes in Peterborough, New Hampshire so you can easily send flowers to any location (same day delivery) or find any funeral service. We work with local florists and flower shops to offer same day delivery. You will find budget sympathy flowers in Peterborough here. Our funeral flowers are cheap in price but not in value. Which Type of Funeral Flower Arrangement Should I Send?